Time to catch a wave on this 18' thrill ride and cool off in the summer heat. 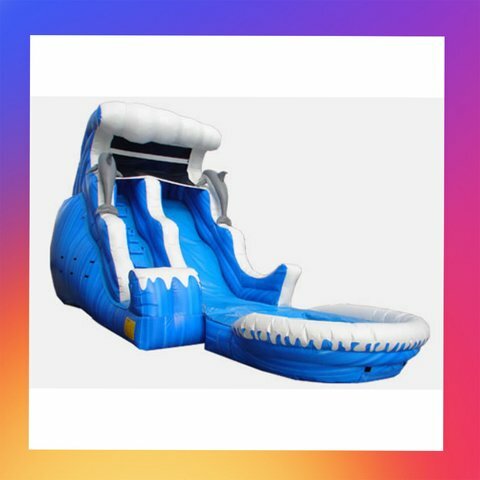 This beautiful slide will thrill party goers for hours, not to mention how cool you will look having this at your party. An overhead cascade of water rushes over your head as you rush down the double drop and then splash into the huge water-filled pool at the bottom.